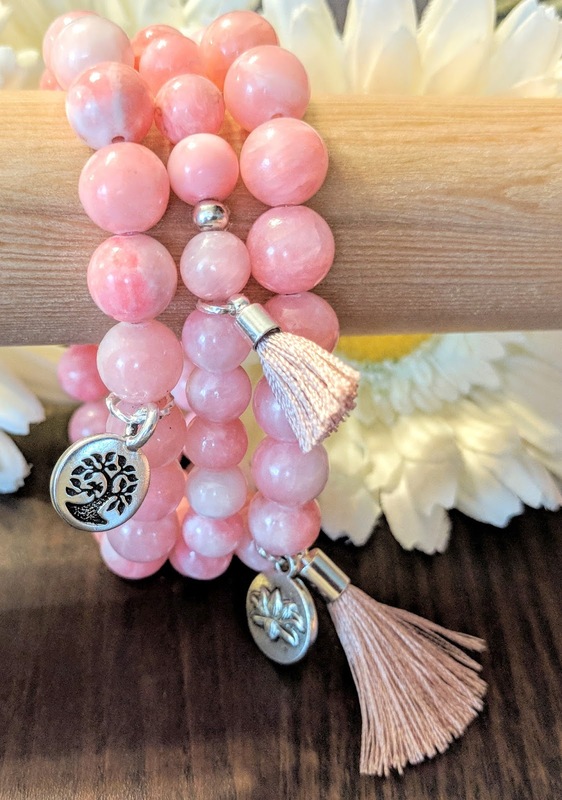 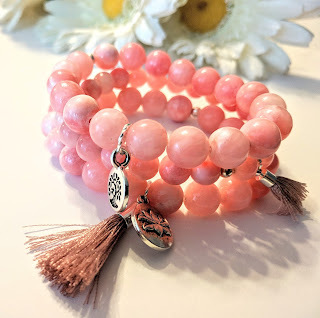 Pink Persian Jade Stackable Bracelets, "Cherry Blossom"
Pink Persian Jade stackable bracelets with tassels and charms. 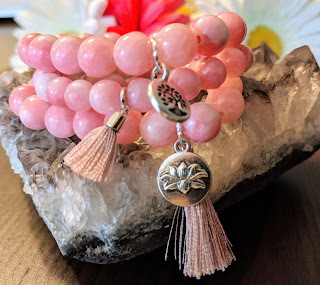 Very feminine bracelet trio, perfect for spring. 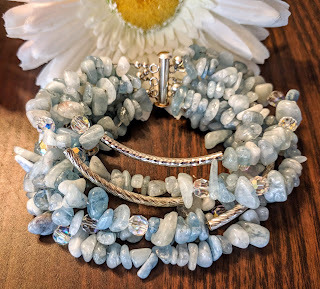 Wear them separately or together, with jeans or a cocktail dress. Price: $65 plus $6 for shipping and handling. 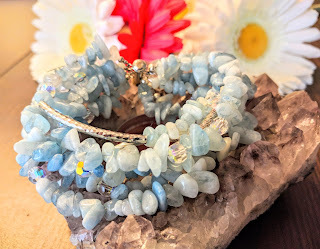 Anna Ivanova, jewelry designer for Beadly Things. 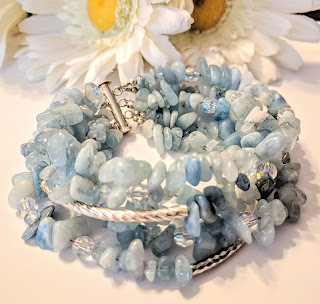 Aquamarine Gemstone Bracelet, "Cold Water"
Gorgeous 6-strands Aquamarine gemstone chip bracelet with Swarovski crystals and silver plated twisted tubes. Comes in ready-to-give pretty organza bag.